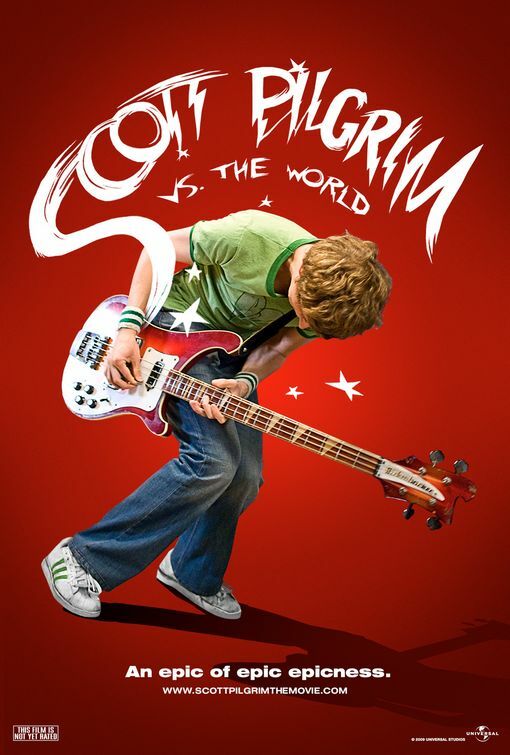 This past weekend I finally got around to reading Scott Pilgrim vol.1 Scott Pilgrim’s precious little life. I gotta say I openly hate manga and manga styled comics, but reading this has seriously made me rethink that philosophy. 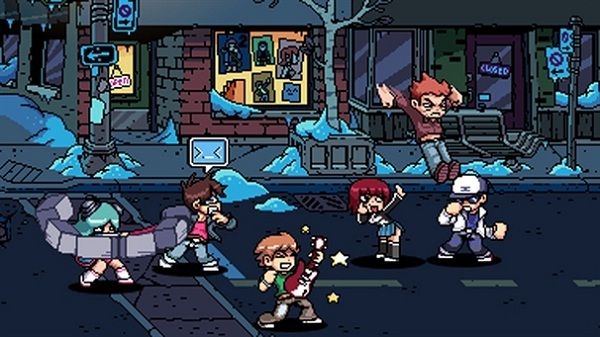 If you’re not familiar with the content, Scott Pilgrim is a manga inspired comic series by Bryan Lee O’Malley focused on the title character. He is a 23 year old Torontonian slacker who is in between jobs and in a mediocre rock band. The focal point to the story seems to be his relationship issues, where he is caught in a love triangle between his 17 year old asian girlfriend knives chau and intriguing hipster delivery girl Ramona Flowers. Knives with whom he has a subdued and innocent relationship consisting of talking about high school drama and holding hands on the bus quickly becomes completely Scott crazy and leaves Scott struggling as to how he can break it off as he inches closer and closer into the world of Ramona Flowers. The first volume is capped with Scott’s encounter with the first of Ramona’s 7 evil ex-boyfriends. 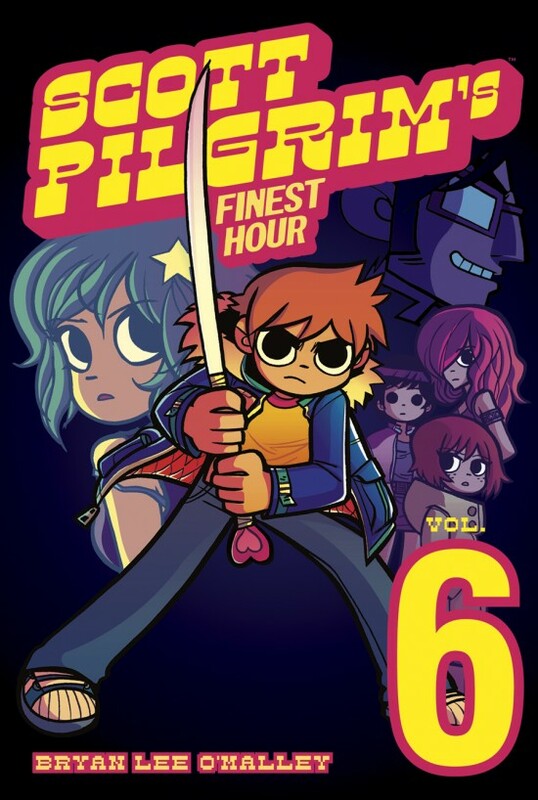 In this meeting Scott battles the ex-boyfriend in a boss battle inspired by video game and rock opera themes, which leaves me thinking Scott Pilgrim could just be the geeks dream I’ve been long waiting for in print form. buy me at the closest comic shop, it's THAT WAY! I seriously loved that book though, I can’t wait to read more of them. Not being about science fiction or super-heroes it really goes out of my comic book comfort zone but I can honestly say it was an incredibly fun read. I would recommend it to anyone wary of the comic-book/manga medium and sorta wants to ease into it.